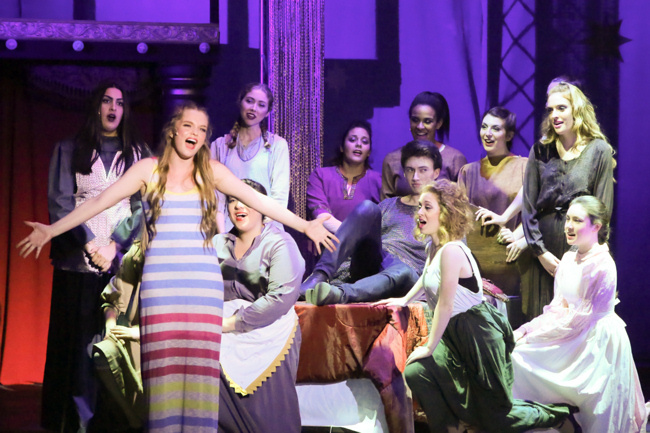 The Huntington Beach Union High School Academy for the Performing Arts in Huntington Beach is presenting the musical �Pippin,� directed by Tim Nelson, at the Historic Auditorium and Bell Tower Theatre beginning March 11th and continuing through March 20th, 2016. 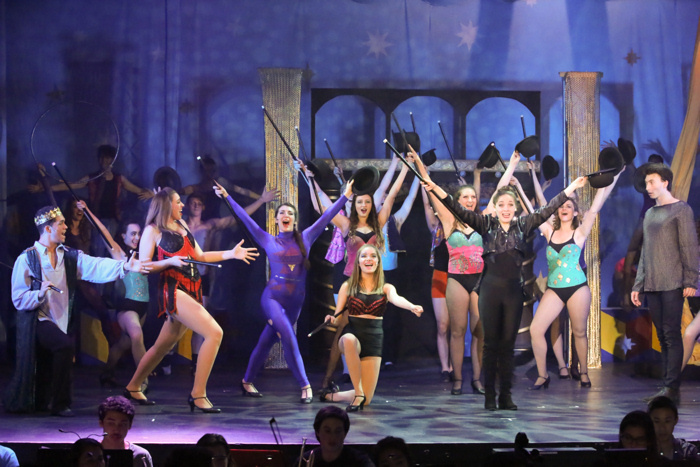 Pippin is a Tony Award-winning musical with music and lyrics by Stephen Schwartz and a book by Roger O. Hirson. Bob Fosse, who directed the original Broadway production, also contributed to the libretto. 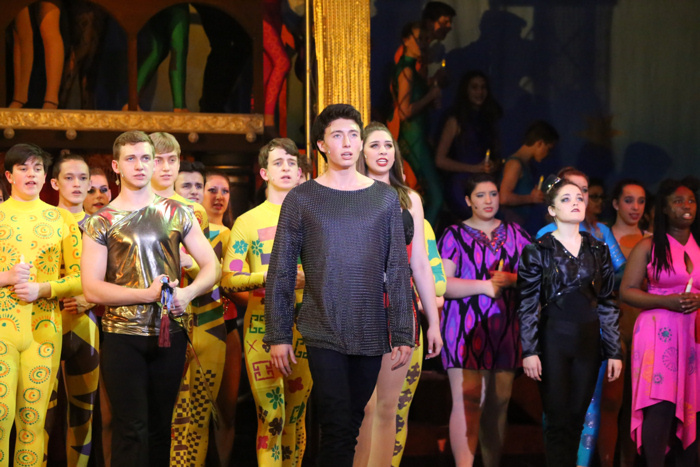 The musical uses the premise of a mysterious performance troupe, led by a Leading Player, to tell the story of Pippin, a young prince on his search for meaning and significance. 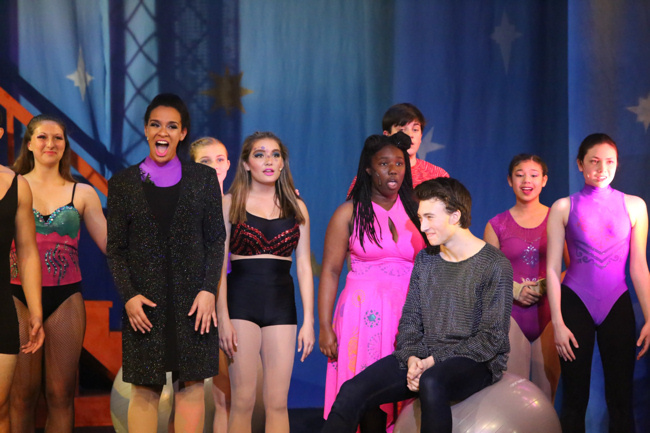 The cast at APA was honored recently when one of their alumni, Kyle Selig, became a guest artist production assistant with the show. Kyle graduated from the APA program in 2010 and has not only played the role of Pippin in the National Tour, but also just closed in �The Book of Mormon� on Broadway. 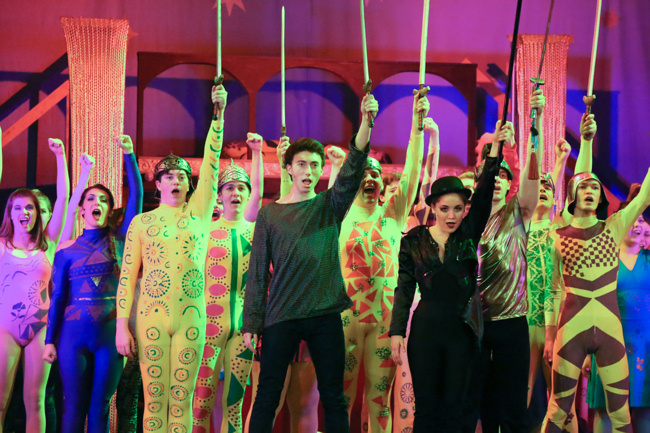 Pippin was originally conceived as an independent student project musical by Stephen Schwartz while at Carnegie Mellon entitled Pippin, Pippin and performed by Carnegie Mellon University's Scotch'n'Soda theatre troupe. Later, Schwartz decided to develop the show further, but said that not a single line or note that was in the original show at Carnegie Mellon had made it into the final show we see today. The protagonist Pippin and his father Charlemagne are characters derived from two real-life individuals of the early Middle Ages, though the plot presents no historical accuracy regarding either. The play instead derives itself from the old Burlesque of Faust. The play begins with the Leading Player of a troupe and the accompanying actors in various costume pieces of several different time periods, establishing the play's unconventional feel. The Leading Player begins a story about a boy prince searching for existential fulfillment. They reveal that the boy who is to play the prince, named Pippin, is a novice actor. Pippin talks to scholars of his dreams to find where he belongs ("Corner of the Sky"), and they happily applaud Pippin on his ambitious quest for an extraordinary life. 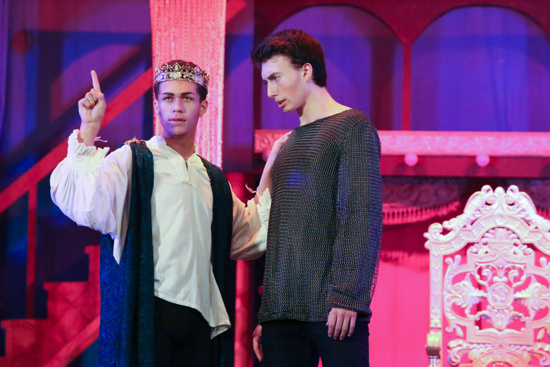 Pippin then returns home to the castle of his father, King Charles (known as "Charlemagne"). Charlemagne and Pippin don't get a chance to communicate often, as they are interrupted by nobles, soldiers, and courtiers all vying for Charlemagne's attention, and Charlemagne is clearly uncomfortable speaking with his educated son or expressing any real loving emotions. 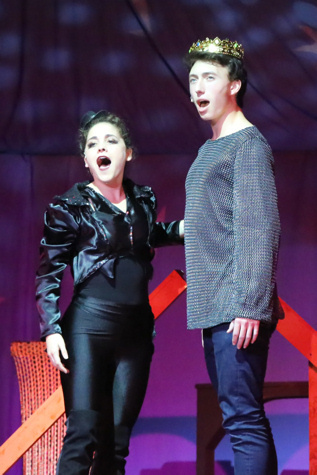 Pippin also meets up with his stepmother Fastrada, and her dim-witted son Lewis (Sam Melvin). Charlemagne and Lewis are planning on going into battle against the Visigoths soon, and Pippin begs Charlemagne to take him along so as to prove himself. Charlemagne reluctantly agrees and proceeds to explain a battle plan to his men ("War is a Science"). Once in battle, the Leading Player re-enters to lead the troupe in a mock battle using top hats, canes, and fancy jazz to glorify warfare and violence ("Glory"), with the Leading Player and two lead dancers performing in the middle. This charade of war does not appeal to Pippin, and he flees into the countryside. 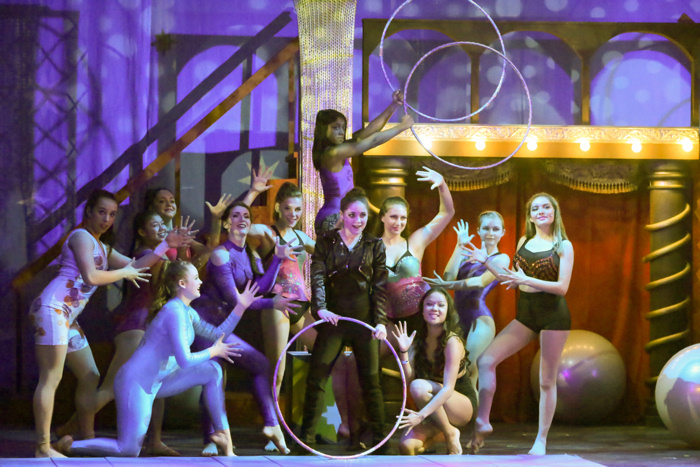 The Leading Player tells the audience of Pippin's travels through the country, until he stops at his exiled grandmother's estate ("Simple Joys"). There, Berthe (played by Laura Harris) tells Pippin not to be so serious and to live a little ("No Time At All"). Pippin takes this advice and decides to search for something a bit more lighthearted ("With You"). While he initially enjoys many meaningless encounters, he soon discovers that relationships without love leave you "empty and unfulfilled." The Leading Player then tells Pippin that perhaps he should fight tyranny, and uses Charlemagne as a perfect example of an uneducated tyrant to fight. Pippin plans a revolution, and Fastrada is delighted to hear that perhaps Charlemagne and Pippin will both perish so that her beloved Lewis can become king. Fastrada arranges the murder of Charlemagne, and Pippin falls victim to her plot ("Spread a Little Sunshine"). While Charlemagne is praying at Arles, Pippin murders him, and becomes the new king ("Morning Glow"). End of Act 1. The Leading Player mentions to the audience that they will break for now, but to expect a thoroughly thrilling finale upon returning. 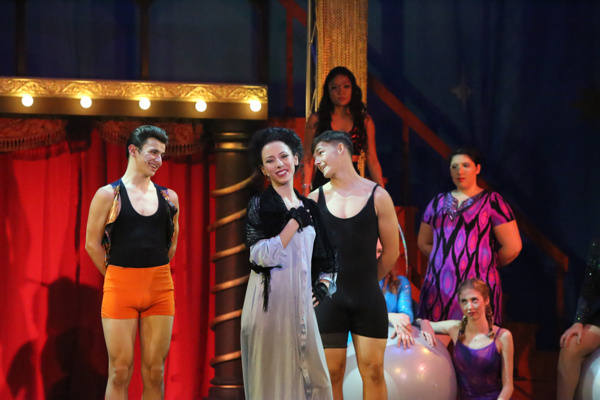 �Pippin� cannot succeed without a magnetic leading player, and it has one here in the person of Taylor Aragon, who is as accomplished a dancer as she is a singer, riding confident herd over the swirling proceedings. 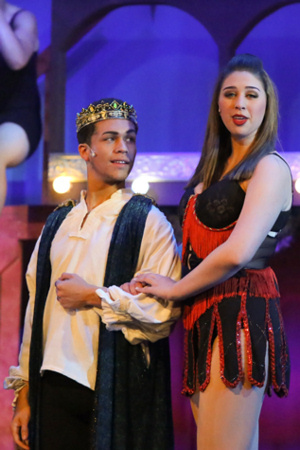 Handsome Cole Wachman delivers a sweetly earnest Pippin with just a touch of nerd. His earlier mentioned �Corner of the Sky� is first-rate, and it�s delightful when he suddenly snaps to as an expert dancer in �On the Right Track� after previously exhibiting something of a rhythm deficit. Adrian Villegas does big, bold, and sly work as Charlemagne, funny in his inborn macho bluster and oddly touching in his relationship with his son. 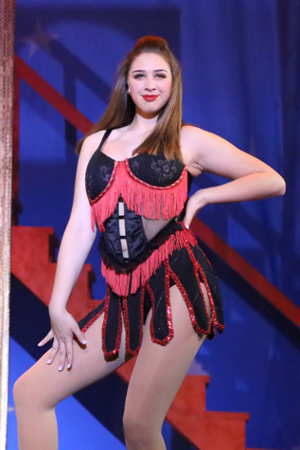 Autumn Kirkpatrick plays Charlemagne�s scheming wife, Fastrada, while looking stunning and dancing like a dream. Allyson Peffers shines as Catherine, the widow whose farm Pippin agrees to help operate for a while. With a slight rasp in her voice and an endearingly spacey personality, Allyson�s Catherine is reticent but determined, and the actor�s wonderful rendition of �Kind of Woman� rings with rectitude. Tim Nelson is in his 19th year directing at APA and is an accomplished symphony musician as well as author, performer and conductor. Recent shows at The Academy of Performing Arts include City of Angels, Light in the Piazza, Secret Garden and Miss Saigon. Award-winning Diane Makas, APA�s Artistic Director and Choreographer, is now in her 20th year at the school, and is at the helm of the Academy, having propelled hundreds of student artists into the entertainment industry. And Greg Gilboe, Director of Instrumental Music at HBHS, is celebrating his 46th extraordinary theatrical production as orchestra director with APA. 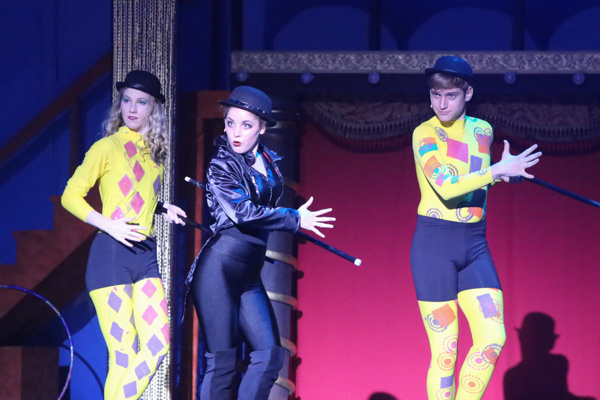 This show is one of APA�s best to date, a tour de force of vocal genius, stunning athletic feats you simply cannot find in other settings, acting unsurpassed, and a paramount undertaking of choreography. You come expecting entertainment, and you are definitely not disappointed.